Last Of The Summer Sun, the latest creation by the artist Anthony Cowland G.Av.A. 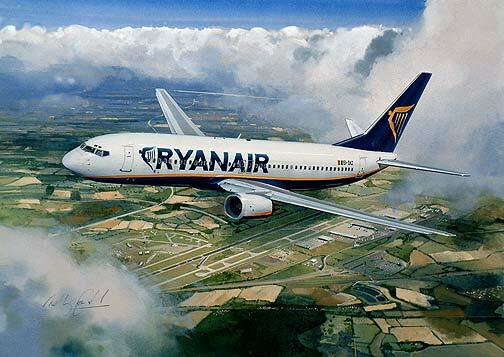 features a Ryan Air Boeing 737-800 as it leaves Stansted on the August Bank holiday weekend. A superb limited edition print from the original painting of the same name. Attention to detailed research and pure talent set Anthony Cowland’s work above any rival in this field of aviation art.